This is a consignment item. A 3% buyer's premium ($43.47) will be charged at checkout. INCOMPLETE. Two coupons cut, does not affect art or story. Cover art by Steve Ditko. 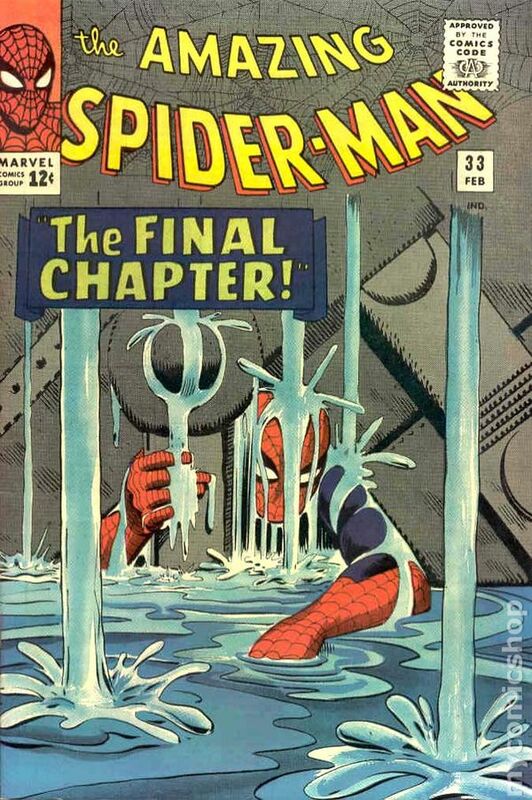 The Final Chapter!, script by Steve Ditko (plot) and Stan Lee (script), art by Steve Ditko; Trapped under a pile of rubble in an underwater base that is filling with water, Spidey has to use all of his strength and determination to break himself free as Aunt May's life hangs in the balance; Spidey escapes and takes down Doc Ock's goons so he can deliver a serum that will remove the radiation from his Aunt's system. One of Spidey's classic moments is captured in the first 5 pages as he struggles to escape from underneath tons of steel! Reprinted in Marvel Tales # 26 and 172. 32 pgs. $0.12. Cover price $0.12. 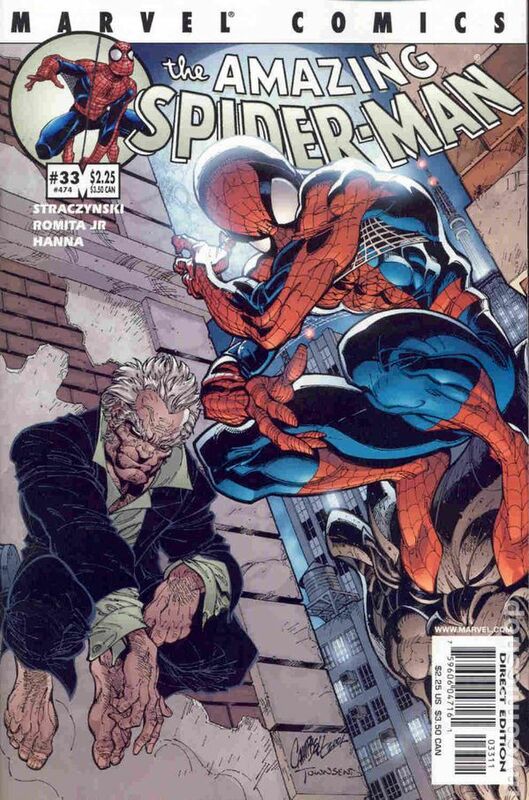 AMAZING SPIDER-MAN #33 cover by j. scott campbell j. michael straczynski/ john romita jr./scott hanna The new era continues as writer J. Michael Straczynski takes the reins of Marvel's flagship title! Still reeling from the questions posed by the enigmatic Ezekiel, Peter Parker digs deeper into his roots, searching for a deeper understanding of his powers, and, ultimately, himself. Meanwhile, the morbid Morlun prepares to make his move on Spider-Man! 7-59606-04716-1-03311 Cover price $2.25. Published Oct 1965 by Marvel. UK Edition with 10d price. Cover by Steve Ditko. Never Step on a Scorpion!, script by Steve Ditko (plot) and Stan Lee (script), pencils by Steve Ditko, inks by Steve Ditko; Scorpion breaks free from jail and plans on killing both Spider-Man and J. Jonah Jameson. The Merry Marvel Bullpen Page; Ads for Spider-Man T-Shirt and MMMS fan club. Reprinted in Marvel Tales #168. 36 pgs., full color. $0.12.